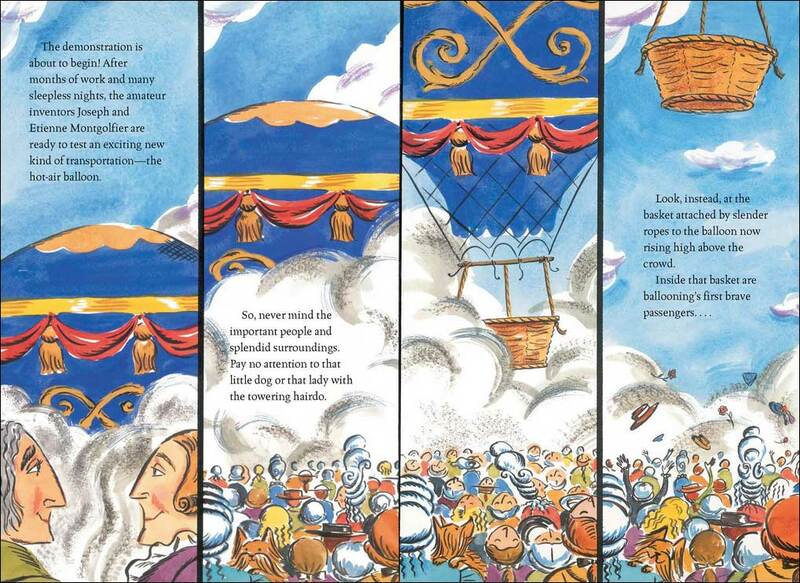 Hot Air uses buoyant illustrations and a near-wordless format to tell the true story of the first flight of Mongolfier's new hot air balloon in 1783 and the confused passengers who went on that first voyage--a rooster, a duck, and a sheep. 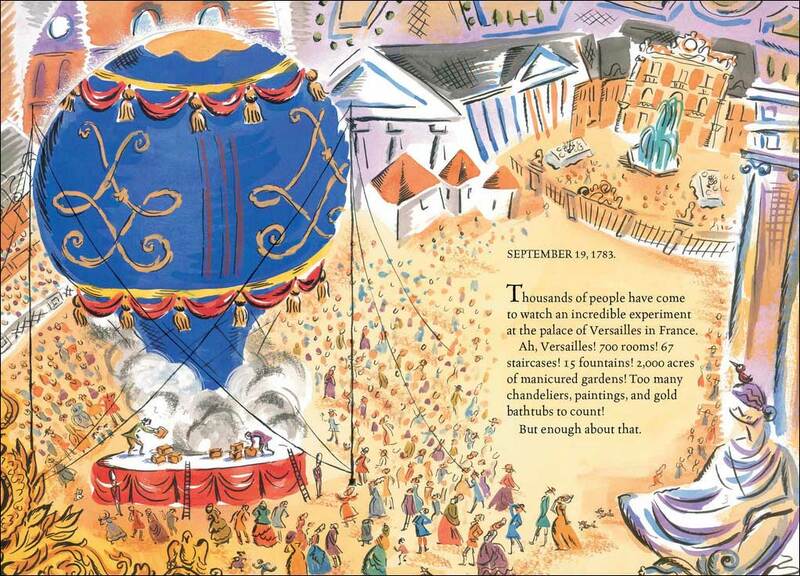 The balloon floats along, encountering a clothesline, a flock of birds...and all the while, the perplexed animals try to make sense of it all. 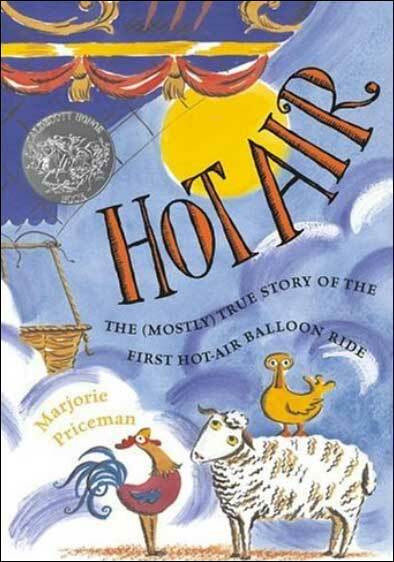 Priceman tells this historic event from the point of view of these three bewildered animals. What a fun and clever approach. In fact, Priceman states at the end: "The details of the flight may or may not be true. 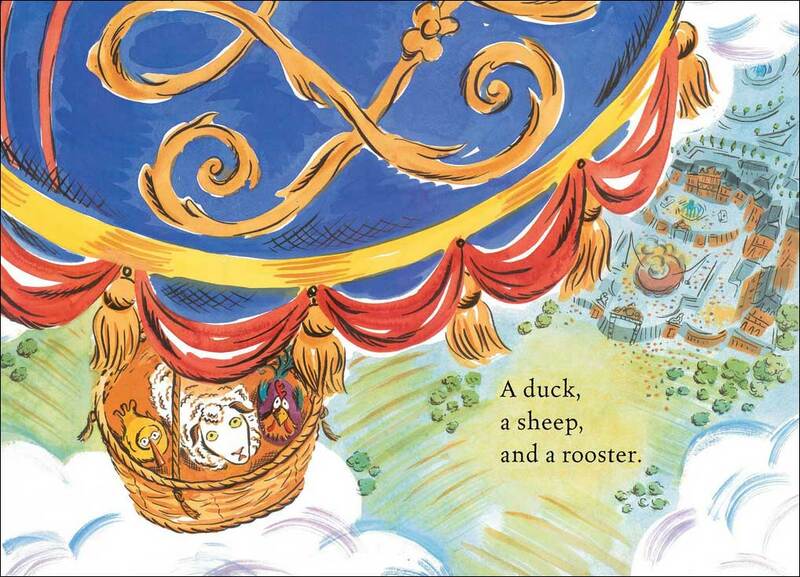 The author heard this part of the story from a duck, who heard it from a sheep..." This is really a cute story and perfectly paired with charming, whimsical, full of movement and bright colors and humor! 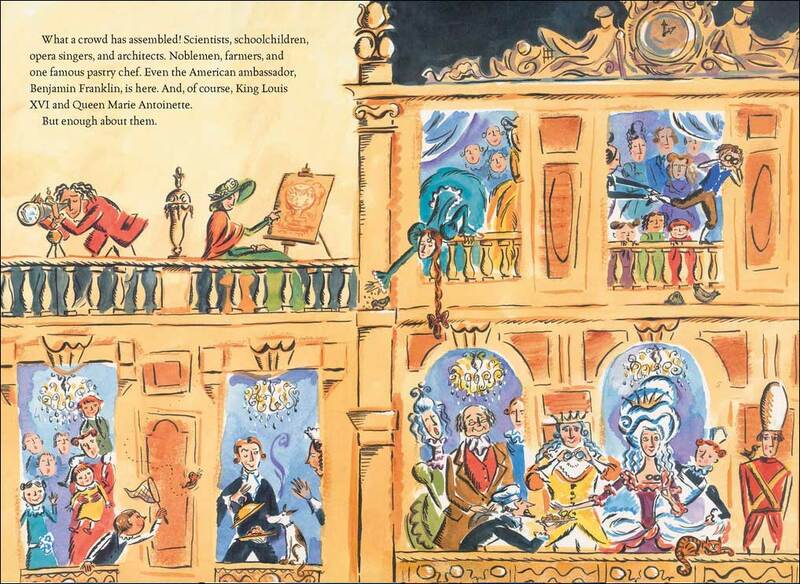 Below are the first four spreads from inside this book. 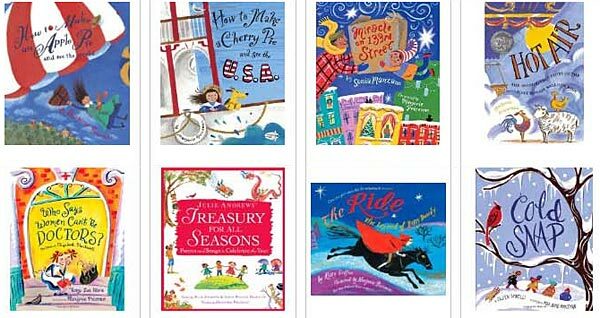 It's clear to see why this book won the coveted Caldecott Award!!! It would be interesting to follow a reading of the book with historic images of this famous event in aviation history. 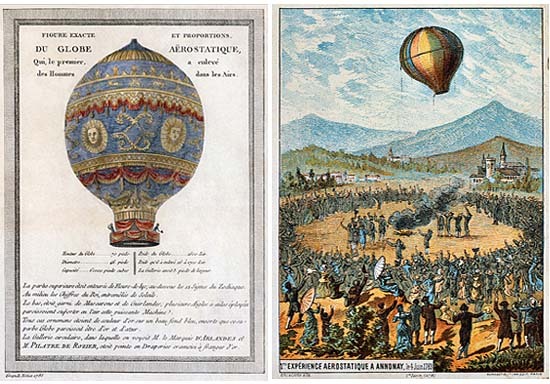 There are no photographs, of course, but there are many intricately detailed illustrations of the event and the balloon.